A new and spectacularly unique “Happily Ever After” show has been created to bring to life new and classic Disney stories and movies in an exhilarating, musical revue stage production like no other! Disney’s Storybook Theater will be transformed into an antique yet modern-day library, home to “Mickey and the Wondrous Book.” The 28-minute musical revue features a cast of live vocalists, Disney characters and dancers. 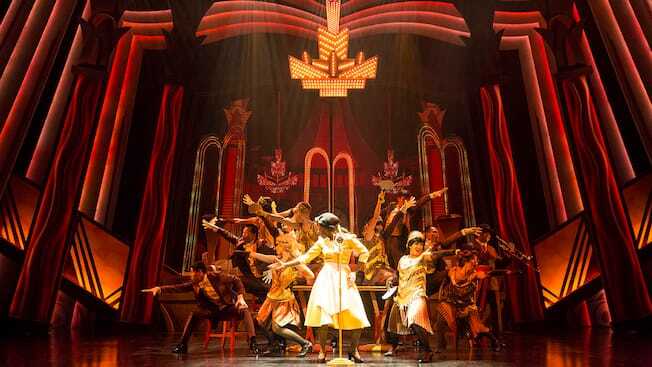 As every page turns a new story is reviewed, revealing a grandiose and extravagant musical production number! Learning of the existence of a wondrous and magical book, Mickey Mouse and Goofy cannot resist sneaking into the library one night and witness its magic for themselves. To their astonishment, the book opens on its own and out comes Olaf – Disney’s most endearing, warm-hug-loving snowman! Mickey immediately realizes it’s his duty to venture into the book and to ensure Olaf’s safe return to his story before he melts. As the unlikely band – Mickey, Goofy and Olaf – sets off into the enchanted book, what awaits them is a journey filled with an endless stream of adventures, challenges and eventually - Happily Ever Afters. Dive into seven widely loved Disney tales, and encounter some of your favorite characters along the way, including Baloo and King Louie in “The Jungle Book”; Ariel in “The Little Mermaid”; Rapunzel in “Tangled”; Merida in “Brave”; the Genie, Aladdin, Jasmine and Abu in “Aladdin”; Tiana and Louis in “The Princess and the Frog”; and of course in an epic finale and in true Disney “Happily Ever After” style, Princess Anna and Queen Elsa in “Frozen”. Don’t be surprised if you find yourself drawn into the truly immersive experience as each world comes alive in fascinating individual genres, styles and tempos! 'Mickey and the Wondrous Book' will be suspended from May 6 to 24, 2019 due to routine maintenance and inspection for Disney's Storybook Theater.